A few weeks ago I was watching Brian de Palma's masterpiece "Scarface" again. Perhaps, the best performance ever by Al Pacino, as a young Cuban refugee who lands on the open shores of Miami in early 1980’s to become an undisputed drug warlord. The first few scenes in the movie shows boat loads of Cuban refugees huddled together, sent out by Cuban government to live or rot in America. It was Fidel Castro’s masterstroke to taunt the mighty Americans. He was dispatching Criminals and trouble makers from Cuba as exile into the US, just as the illustrious English, during the 18th century were sending ship loads of petty criminals into the continent of newly found Australia. This comparison is exaggerated, but the audacity of intent remains the same. For nearly fifty years the revolutionary, communist leader of Cuba held fort over a country that is barely a million square miles long with a population of under 12 Million, and proudly stood against the United states of America and all that it represents. It seems a travesty that a country like USA which controls happenings in nations more than half way across the globe; couldn't deal with a small island barely 90 miles away from them. But that's the irony American historians and history would like to forget quickly. One Man stood between USA and Cuba. It was Fidel Castro - the dictator, the revolutionary, the president, the savior - the man who refused to acknowledge the sovereignty of USA over his little country. He was immensely successful in his battle, and for sheer stubbornness, courage and independence the world acknowledged him as a force to reckon in international politics. “I do not trust the politics of the United States, nor have I exchanged a word with them, but this is not, in any way, a rejection of a peaceful solution to conflicts".... This was his last word on American relations. Well, the man is now dead, and his brother now takes charge completely. Will this see a change of direction in America-Cuban relationship, May be!! Because Men like Castro are a dying breed. The world doesn't produce militant nationalists like that anymore. 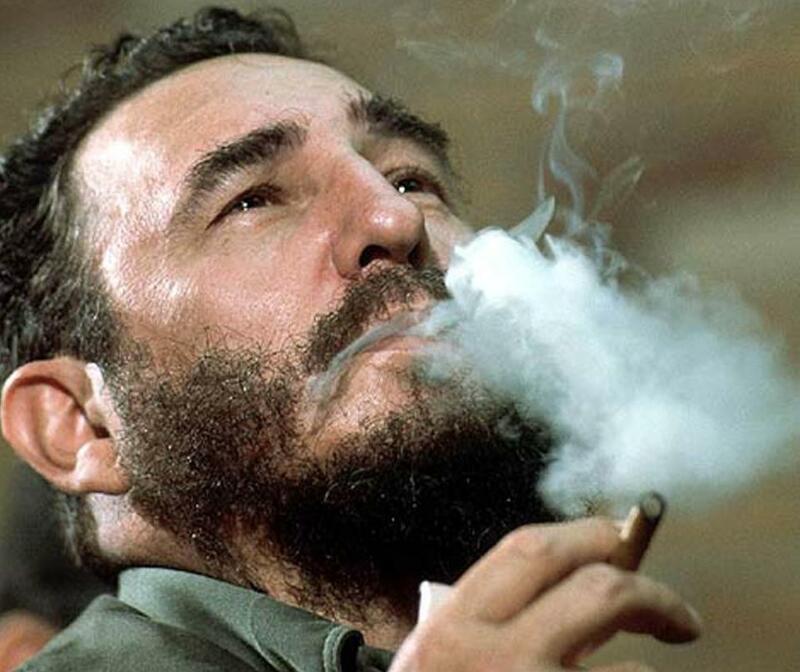 For a person like Castro to breed, develop and assume power, there needs certain conditions to be fulfilled : A small isolated nation, not well educated, economically below par, historically never unified except under dictatorship and unconditional willingness to follow the leader who can articulate well. Only if most of these conditions exist can a leader of Castro’s calibre rise, sustain and arrogate power. Otherwise not. But whatever said and done, the name of Fidel Castro will go down in History, for right or wrong, as the man who defied the USA at the zenith of its power. For that reason alone, he gains immortality..